The weather is hot and why not have a cup or a glass of chrysanthemum tea to cool you off. It has lots of minerals from calcium to magnesium to potassium and vitamins like Vitamin B1, Vitamin C etc. This drink is extremely easy to prepare but some friends of mine have misconceptions that the preparation troublesome. They would rather pay SGD1-2 for a glass of or SGD0.50-SGD1 for a tin or packet of chrysanthemum tea. Therefore, I have decided to share the steps with readers who have never prepare this tea before and assure you that it is not troublesome at all to prepare some chrysanthemum tea for your family. Dried chrysanthemum, brown rock sugar and water. You can buy both the dried chrysanthemum and brown rock sugar at the Chinese herbal shop. 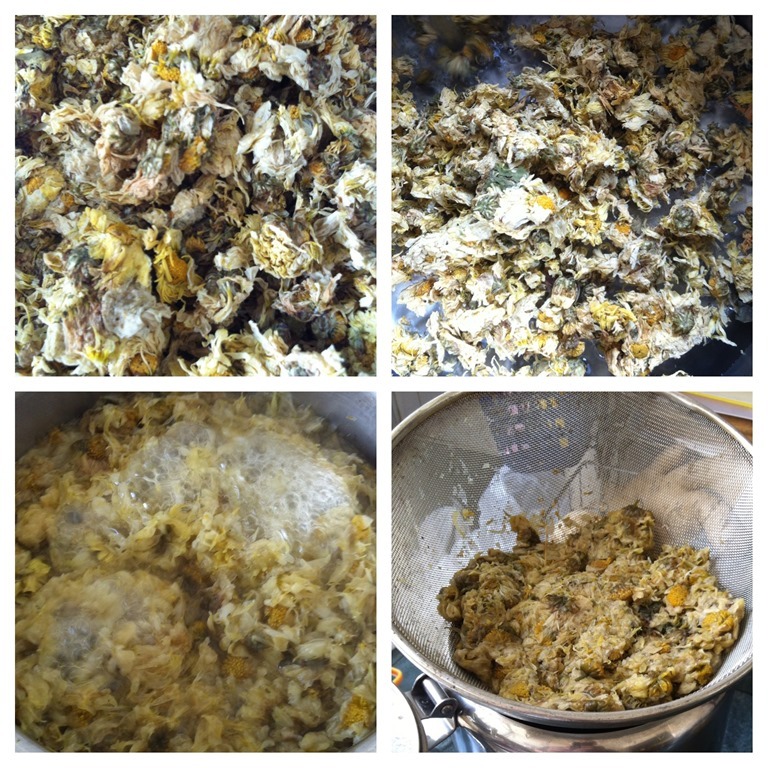 Get ready some dried chrysanthemum and wash away the dirt. Put these washed chrysanthemums into a pot filled with water. Boiled for about 10 minutes. Add in rock sugar and boiled for another 5 minutes. Sieved and serve hot or cold. 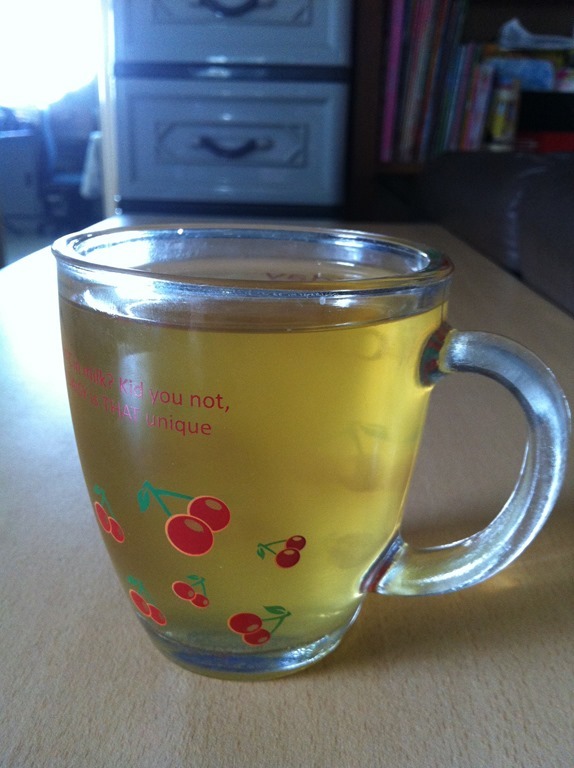 If you found that the chrysanthemum tea is too concentrated or too sweet, just add in some more hot water. Note: Don’t boiled the chrysanthemum too long because it can then become very bitter. You can add in some more water and re-boil the flower for the second time. After it boiled for 5 minutes, add additional rock sugar to taste. For this boiling, the color should be lighter and the taste is less concentrated. The above method is the method that we used to cook in Singapore or Malaysia. Another method is to hot water and mix steep for about 5 minutes. However, the drinks will become less concentrated. If you used the mix steep method, you can also consider add in some wolfberries, ginseng and licorice. Chinese (in fact other Asians like Korean and Japanese) believed that chrysanthemum flowers possess medicinal values and an excellent “cooling” herbs. Constant drinking of this flower tea will help to improve immune systems, liver detoxification, fat cleansing and cool down your body temperature. As such, knowing how to make this herbal tea will definitely be a preferred alternative when compared to purchase the packet or tin drinks in the grocery stores. 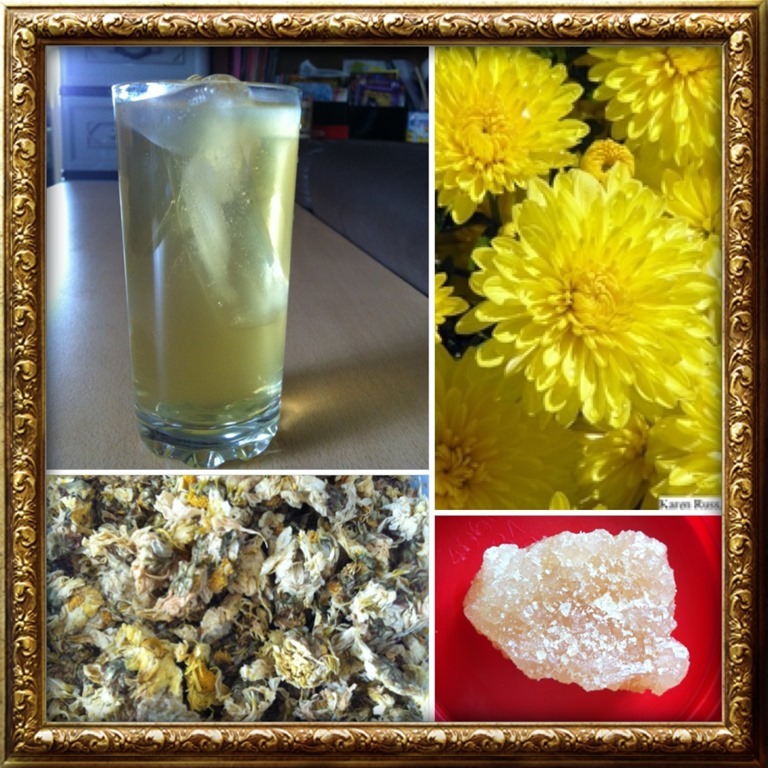 This entry was posted in Drinks, Food Preparation Series and tagged Chinese Herbal tea, chrysanthemum Tea. Chinese, cold drinks, Drink Preparation Series, Food Preparation Series, malaysia, singapore, thirst quencher. Bookmark the permalink.